Quipper, an education technology company headquartered in London with offices in Manila, today announced that NAT scores at Valenzuela City Science High School have improved significantly as a result of using Quipper School in 2014, when compared to scores from the previous year. Quipper School, an online education platform which connects teachers and students, was launched in January 2014 in the Philippines and is now being used by over 5,000 teachers across the country. Mr. Roderick Francisco, a teacher from Valenzuela Science City High School, used Quipper School in early 2014 to teach over 400 of his students in preparation for NAT 2014. As a result, Mr. Francisco has noted significant improvements, with an overall score improvements of 13%, and an outstanding result in English, where the scores rose by 25%. While many people use the term, “real life experience” when describing jobs or resumes, hands-on learning may be similar. Although your students may be too young to hold down jobs, the process of learning while using real tools can be just as effective for building experience as a prolonged work history. By using the tools and equipment of the trade, students may connect to the material in a way that surpasses reading text. Science kits can provide a method in which students may see for themselves the outcome and process of real-world applications. For instance: Many renewable energy kits are working units that can be used to power small, low-powered and child-safe devices. As the children learn as they build, the direct impact of the end result may inspire as well as excite the student while focusing his or her attention on the activity. Although reading textbooks and websites can still provide a great deal of knowledge, there is something to be said about direct interaction with the content and material as a method to enhance the learning experience. We have been back to our to our regular programming for sometime now. We got swamped with online and offline tasks and we had to adjust back to squeezing in our homeschooling schedule. It’s been pretty overwhelming but we have made it through a couple months since and we are now, in fact, more than half way through! Technically, we don’t really have “Spring Break” around this very tropical country. But early this week, our kiddo requested for one. I’d gather he picked that up from his peers in the Basketball clinic he is a part of. It is Summer break. So we are having just that the next couple of weeks. 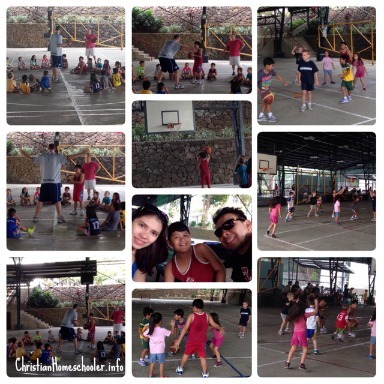 Last Saturday was our homeschooler’s first day at the basketball clinic we joined him in. The hubby and I were away working on a wedding coordination job that was booked last year that time so we had to miss it. Thankfully, we had my dear sister and her husband bring our son to the venue. 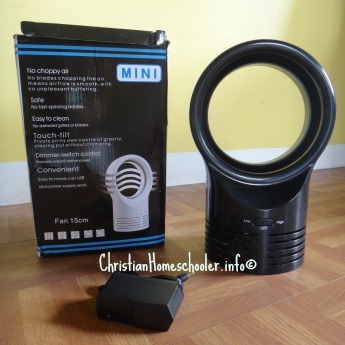 This homeschooling mom came home last weekend with a huge package from Tmart. Guess who is one thrilled boy upon opening the box? Our homeschooler, of course! It took him some considerable EQ to have him wait until I arrive home before opening the box. And I was not just away overnight, it was 6 days! Since he was with me browsing through www.Tmart.com and practically the one who chose from the wide array of items that he could use as we homeschool. 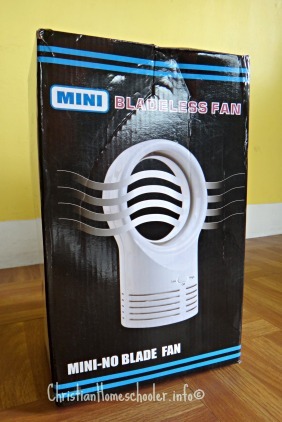 A bladeless fan is what he wanted, so that is what we ordered. After a couple of weeks of watching the videos of Dave Ramsey’s Financial Peace University (FPU), this homeschooling family is stoked on applying the principles. We are still on its baby stage, with 4 credit cards terminated and cut in tiny little pieces, we are already learning a handful lot! Shortly after the “credit card cut into pieces rite” (haha! 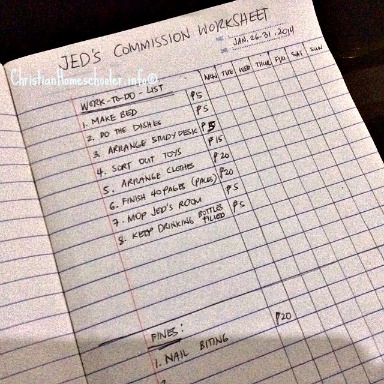 ), we switched our homeschooler from Allowance to Commission Method. I forgot how exactly Dave Ramsey worded it, but it sounded like, “What allowance? Allowance is for the lazy!” At least that was how it sounded to me. I admit to being taken a back by the strong words, at first. But the reason behind it as he taught on the principle behind it made a whole lot of sense. Our not so little homeschooler is currently having the time of his life as we officially go on homeschooling hiatus. He has everything planned out even as we have a couple of places to go to for our short getaways. After yet overwhelmed with our Disney trip two weeks ago, we are set to have yet another couple of rounds of traveling!